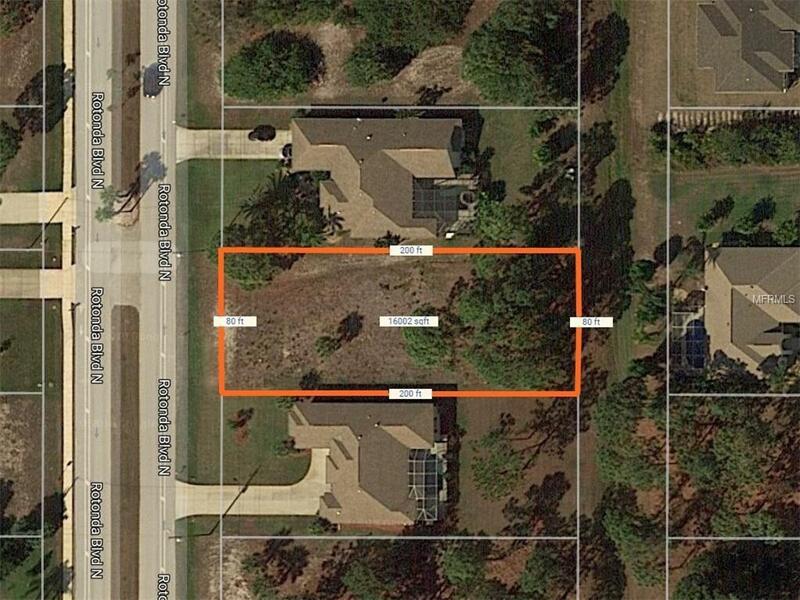 Wonderful opportunity to buy an oversized 80x200 lot in the desirable deed restricted community of Rotonda West. Extra space allows more flexibility for your house build and has public utilities, high speed internet, water and sewer available. This property is also NOT currently in an designated Flood Zone so does not require Flood Insurance. There are five golf courses operated by Rotonda Golf and Country Club. Thirty miles of picturesque canals, lakes and ponds wind through the community and offer fishing and boating opportunities for its residents. Many exotic and beautiful birds and other wildlife call Rotonda West their home. Nearby recreation facilities, beaches, theaters, sporting events, and fine restaurants are available for all.